This pack is sure to transform your seafood dishes with recipes like mango, monkfish and coconut curry, prawn pakoras, BBQ marindes and lots of other mouthwatering curries. Plus choose any spice mix (excluding Biryani /Pilau), all of which are great rubs for seafood. Plus this pack is 15% off! 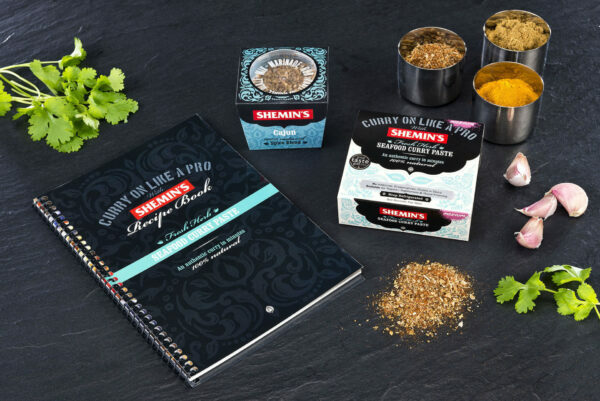 Includes: Seafood Book, Seafood Paste, any Spice Blend excluding Biryani / Pilau.